Joseph Patrick Neaylon was born in Broken Hill, NSW on 4 March 1897 to parents Michael and Margaret J Neaylon. He became a winch driver before he enlisted as a private in the Australian Imperial Force on 21 July and then on 8 November in 1915. He embarked with his unit on HMAT Beltana on 9 November and arrived in Suez, Egypt on 11 December. Neaylon was admitted to hospital on 13 May 1916 for myositis and was discharged. He was declared permanently unfit for active service on 17 January 1917 and was repatriated to Australia returning on 21 July 1917. Neaylon married Olive Myra McGoveron in 1918. 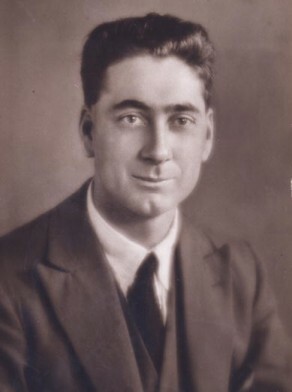 In 1934 he was discharged from his duties as alderman on Paddington Council due to an allegation from a William Knox that Neaylon abducted his daughter, 18-year-old Thelma Christina Knox, at Kogarah on 2 June. The case was brought to the Kogarah Police Court on 30 June and was dismissed by Magistrate Atkinson due to insufficient evidence, though he noted that Neaylon’s ‘conduct has been most reprehensible and is deserving of the most severe censure’. In November 1940 Neaylon married Thelma Knox; they divorced in 1947. Neaylon died in December 1972. Joseph Neaylon was an alderman on Paddington Council in 1932-34. He was discharged from his duties as alderman in 1934. National Archives of Australia: B2455, NEAYLON JOSEPH PATRICK.